After working on a very old project based on PHP 5.3, where the APC library was required to make it work, i knew how difficult is to find the APC extension to make it work on the Windows platform. For Linux, the process can be pretty easy with PECL, however in Window this was a real problem. 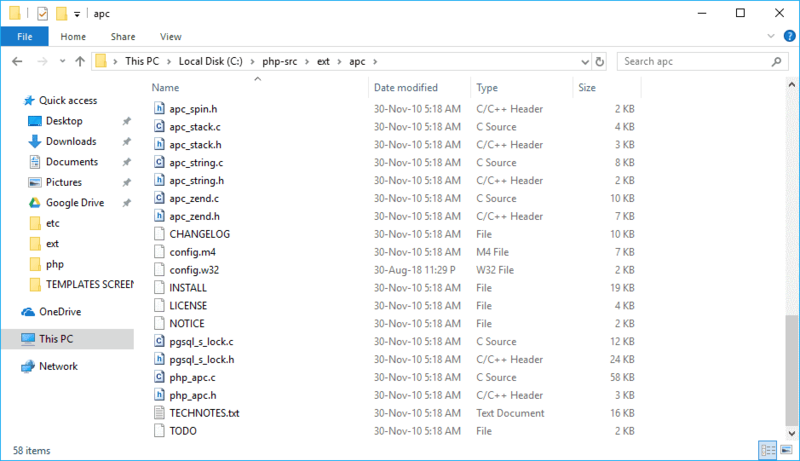 That's why today i'm going to show you how to compile a PHP extension from its source code from scratch in a Windows environment, specifically with the APC library and PHP 5.3.8. Visual Studio: the version needs to provide some compatibility with the accepted versions of Visual C++, see the first point for more information. PHP Source Code: The source code of PHP for Windows at the version that you need to be compatible with the extension. Extension Source Code: The source code of the extension for PHP that you want to compile into a dynamic link library (DLL file). Having said that, let's get started with the compilation ! So to make it easy to understand, if you are willing to compile an extension for PHP 7, you will need the source code of PHP 7, the code of the extension as well and at least Visual Studio 2012 assuming that you want to compile it for PHP 7.0, because if you want it for PHP 7.1, then you would need at least Visual Studio 2015. In this tutorial we'll build the APC extension for PHP 5.3.8, so in our case we'll need to work with Visual Studio 2008 SP1 for visual c++ 9. Let it open as we'll need in the step 5. Now that you have the necessary tools to compile PHP along with your extension, you will need as well the source code of PHP. You can get the source code of the PHP version that you need from the official releases webpage of PHP here. We'll run the commands to build PHP along with your code in this directory within the command prompt later. It's worth to mention that the ext folder will contain the code of your extension but we will add it in the next step. In order to build your extension, either you build an open source extension or create your own extension. In our case, we will build the APC extension, the version 3.1.6 specifically for PHP 5.3.8 (the same version of our PHP source code). This will ensure that the generated dll of PHP will be compatible with the PHP version that we need. 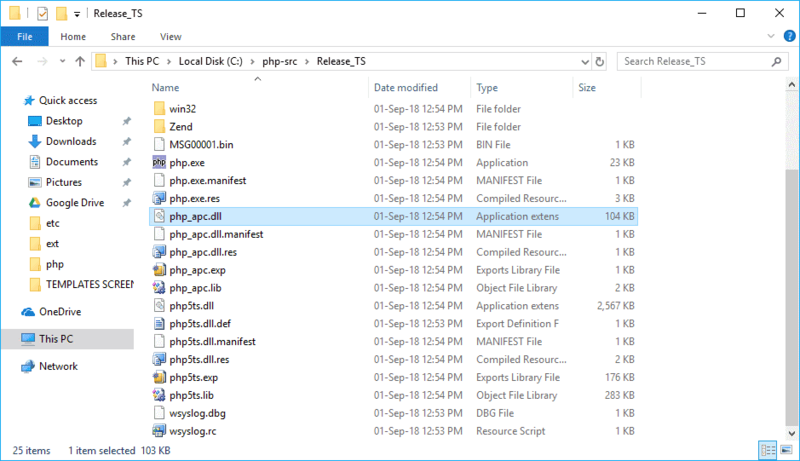 Because as you may know you can integrate the extension directly with PHP, but in this tutorial we are showing how to generate the DLL file that in our case will be php_apc.dll. Download the binaries of Bison from the website at Source Forge here. 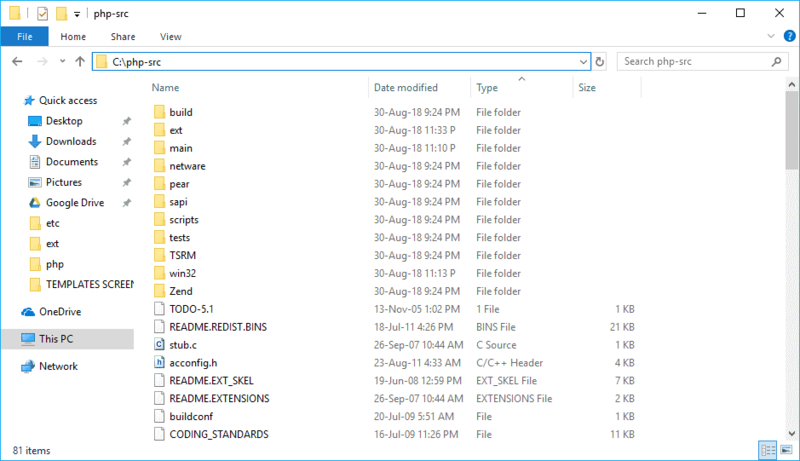 Then paste the bison.exe and m4.exe at the bin directory of Visual Studio e.g C:\Program Files (x86)\<Your Microsoft Visual Studio Version e.g 9.0>\VC\bin. This will make the bison executable accesible to the path and the exception bison is required won't appear anymore. As expected, our extension of PHP will be built into a DLL file just as we want it. By default, this will create a "Thread Safe" build (PHP 5.3.8 TS). If you want a non thread safe build, just add the --disable-zts flag to the configure command. 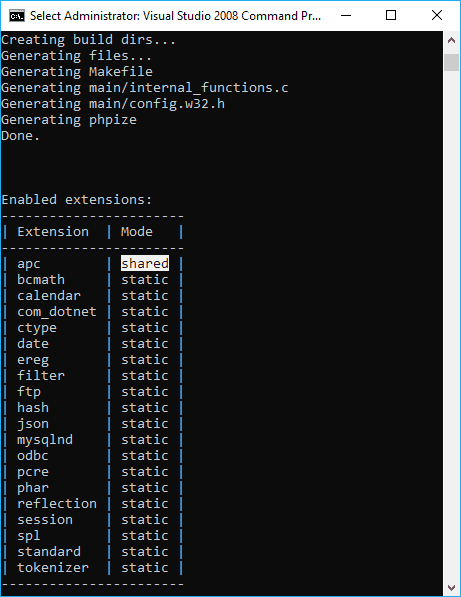 Finally, run the nmake command to start the build of your extension with PHP within the directory of the PHP source code with the developer command prompt. NMake is a make utility provided by Microsoft and available in Visual Studio. It is a handy tool for creating automated builds.